Band to Join, Vocalist, Rhythm Guitar, Lead Guitar, Acoustic Guitar, Bass Guitar, Drums, Violin, Saxophone, Keyboard, Piano, Background Singer, Harmonica, Flute, Other, Banjo, Fiddle, Bagpipes, Steel guitar, Electronic Music, Clarinet, Harp. 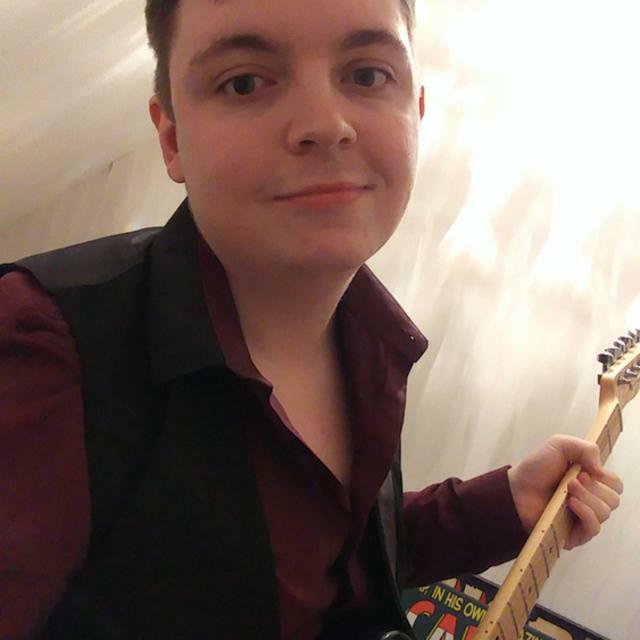 I'm a 21 year old guitarist from the prestwich area, as you'll see in my influences I love a huge variety of music, from In Flames to cheesy 80's hits. I don't turn my nose up at anything if it sounds good! 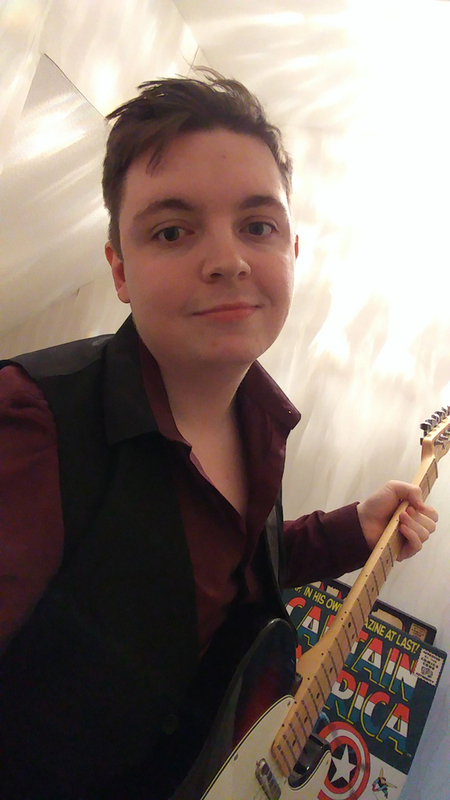 I'm looking for fellow musicians, and singers to play with, and possibly even start a band if the interest is there. 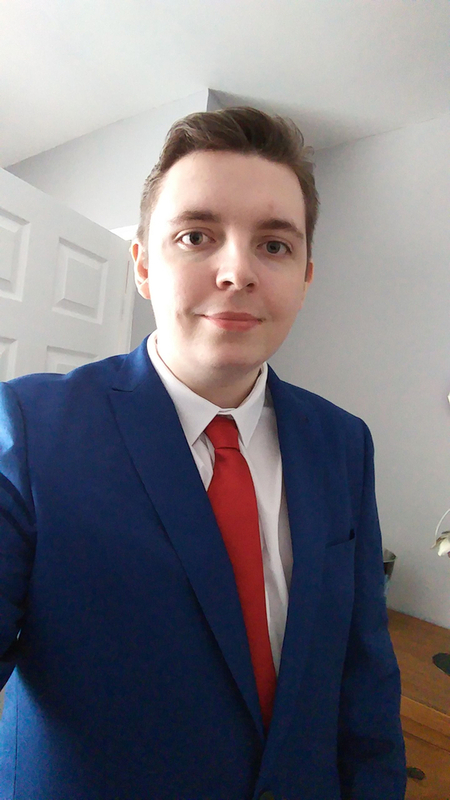 I will travel as far as Bolton (Around 15 miles) and I can easily access both Manchester city centre, and Bury town centre from where I live. I'm still quite an intermediate player, but my lead work has been developing quickly over the past couple of months. Whether you're a pro, or just starting out, don't hesitate to get in contact! Led Zeppelin, Blue Oyster Cult, Deep Purple, Red Hot Chili Peppers, Nirvana, Avenged Sevenfold, Rolling Stones, Blondie, Metallica, Megadeth, Slayer, Nightwish, SOAD, Slipknot, Disturbed, In Flames, Iron Maiden, Judas Priest, Black Sabbath, Guns N Roses, AC/DC, Halestorm, Muse, Eric Johnson, Eric Clapton, Joe Satriani, Steve Vai, Blink-182, The Who, Pink Floyd, Lynyrd Skynyrd, Flyleaf, Alter Bridge, Queen, Duran Duran, Aerosmith, Thin Lizzy, Rush, R.E.M, Chuck Berry, B.B. King, Dropkick Murphys, Kenny Loggins, Dire Straits, I could go on for hours. Cables, Gigbags, Capos and Strings are of course all a-given. Currently working without a decent amplifier. A Stagg 40 GA R.